The film is set in a miniscule town in Nevada that has been devastated by cattle-rustlers lately. When the town gets word of another attack that leaves one of their kindest and most well-liked cattle farmers dead, they’ve all had enough of not doing anything and waiting for the law to bring in these evil-doers. So when most of the town folks find out where the cattle-rustlers are heading, they form a posse hell-bent on taking care of these murderers on their own, even though the sheriff is no where to be found and the local judge says that what they’re doing isn’t legal. 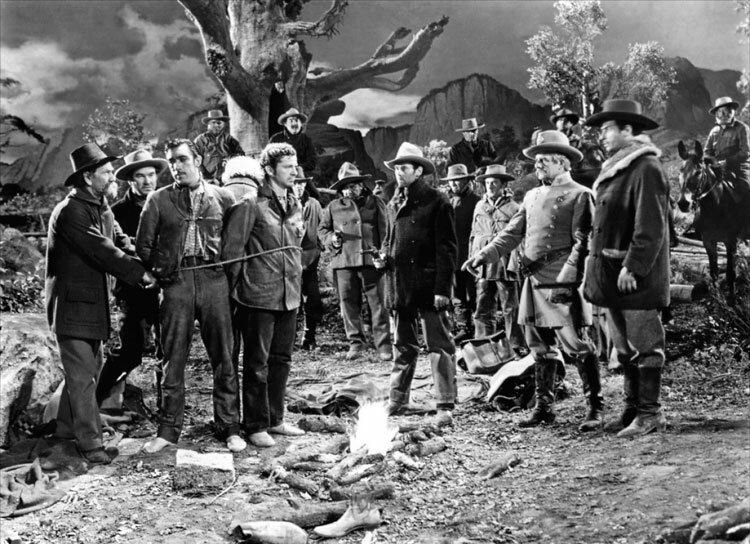 Many others tag along, including passer-by Gil Carter (Henry Fonda), in an attempt to keep all this as level-headed and orderly as possible. What follows is a tale about passion and anger overriding logic and civility. These men are quick to judge and act of their own accord, including the deputy sheriff who deputizes everyone in the posse despite not having that power, or the former civil war Major who takes command of the situation even though no one asked him to. They’ve lived in the west so long that they don’t see how law and order can solve this situation – these dangerous men only understand bloodshed and swift action, so they must respond in kind. But the strength of “The Ox-Bow Incident” comes from how you understand where the towns folk are coming from. They immigrated from all the corners of the globe to start a new life where decent and honest men could thrive, and now the only thing they’ve ever held dear is being taken away from them. These aren’t bad people, they’re just so caught up in their own sense of right and wrong that they’ve grown impatient and angry at the world. This is their way of lashing out. Of course, that only makes this tragic tale even more sympathetic. Like watching a peaceful protest turn into an angry mob. 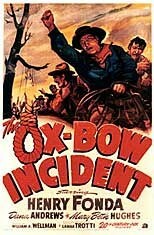 I would argue that “The Ox-Bow Incident” is one of the most important and significant westerns ever made. Because it was made in 1943, when the genre was just reaching its peak, this film challenged the status quo by muddling its morals and sense of right and wrong, to the point where you’re not sure who to root for anymore. It shows a vulnerable and unpleasant side to a setting that is often romanticized and glorified, giving us possibly the most flawed yet human western tale of its time.